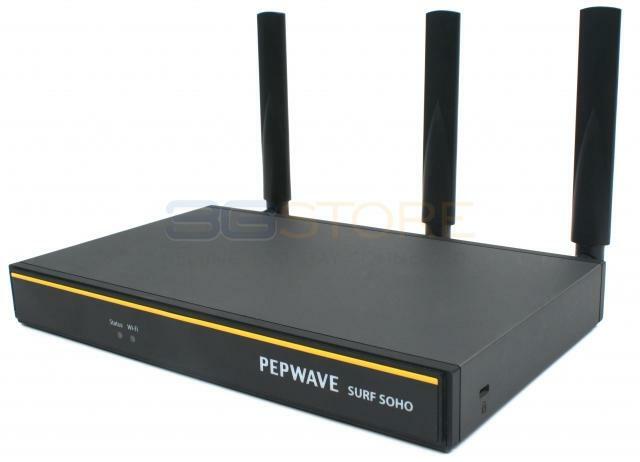 Congrats to Gary N. of Nashville, Michigan who just won a $25.00 Restaurant.com gift code for writing a review for Pepwave Surf SOHO 3G/4G Router with 802.11ac WiFi Hardware Revision 3 at 3Gstore.com! Every week we randomly pick one product review from the previous week and award the writer a $25.00 gift code. We appreciate ALL the reviews our customers write, whether they are positive or negative - honest reviews like Gary N.\'s help other customers decide if the product is right for them. After you purchase a product from 3Gstore.com, we encourage you to log in and 3Gstore.com and leave a review letting people know how the product worked for you - you'll be helping others, and you'll automatically be entered to win a restaurant.com gift code!. I bought this hoping it would deliver as had been promised. And it did. It picks up the signal from our hotspot and projects it through our home and 300' outside of our home to my pole barn. Set up was easy and we were using it within ten minutes of opening the box.